A must have for all first time mums Just found out your pregnant for the first time? Want to understand the process? Need to know what's coming up in the next 9 months? 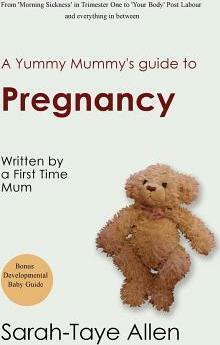 This book has been written with first time mums in mind. As a first time mum myself I wanted to make sure I was as informed as possible about what pregnancy meant. Now that I've given birth I felt I should share what I know about how it works while telling my own story. I cover many different things from morning sickness, to your belly after labour. How is the baby going to develop? What will labour be like? I try to cover as much as I can about things I either experienced first hand or researched and found out about. I include lists of new born essential items as well as your hospital bag checklist. The aim is to take away at least some of your concerns leaving space in your mind to enjoy being pregnant. Unlike some other pregnancy books this is written by someone that's been where you are and experienced at least some of what you have either currently or in the weeks and months to come. This book will help you on the journey to motherhood.